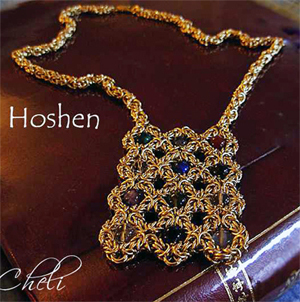 This magnificent Hoshen brass necklace is a unique piece of art, depicting Aaron's breastplate (Hoshen), used by the high priests in the Temple. Each one of the genuine gemstones represents one of the 12 tribes of Israel. The necklace is a true museum jewelry piece. 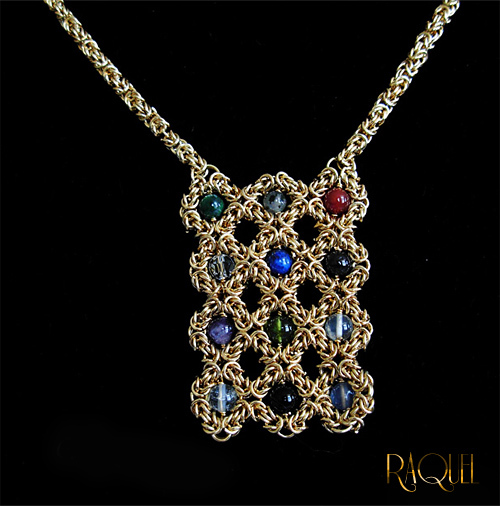 Each link is individually handwoven to construct this necklace incorporating 12 genuine gemstones. This exquisite product is especially made with yellow brass combining ancient with nouveau. 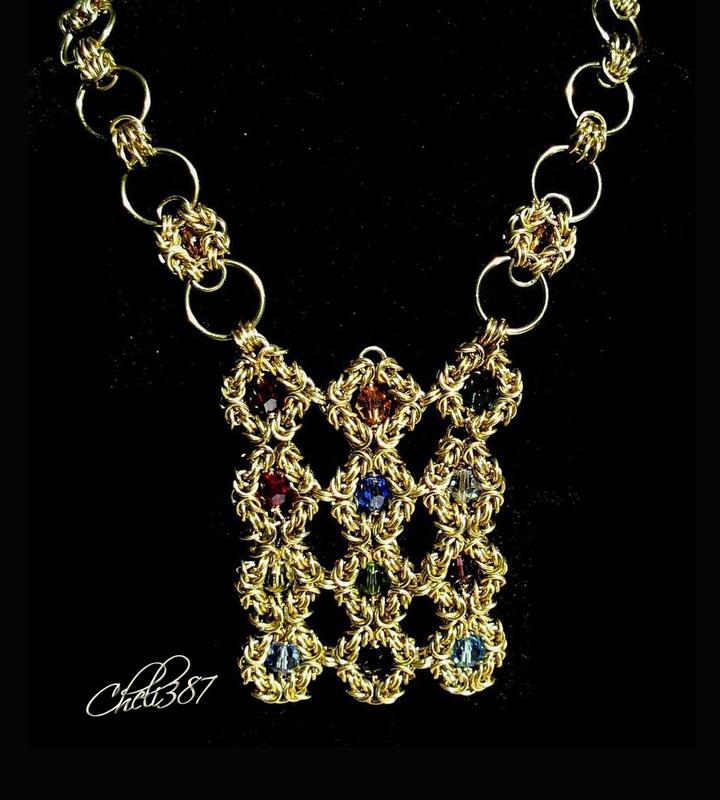 A fine art decorative piece of jewelry for all ages. Hoshen pendant length: 2" x1.5"